Where is the Credit Card Verification Form? Scroll to the bottom of the page and click 'Forms and Agreements'; then click 'Credit Card Verification Form'. What if I've forgotten my account number or registered email? No problem! Click on Contact Us at the top of the FAQ page and we'll be happy to help you via email or over the phone. If at any time you choose to close your account, click on Contact Us at the top of the FAQ page and we'll be happy to help you via email or over the phone. 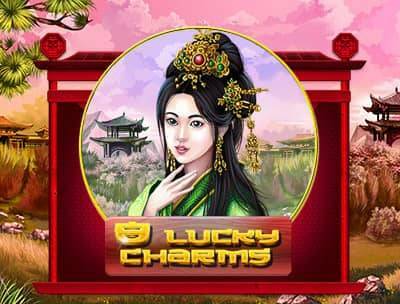 First, Log In to your Slots.lv account. Open your Dashboard by clicking your name at the top of the page, then click Change Password. 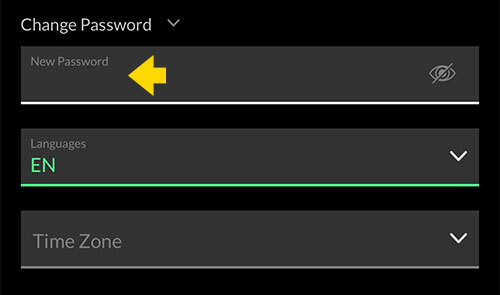 Enter your new password then click "Change Password" to confirm. Then Click 'Profile Settings' from the menu. Update your information as required and click save. 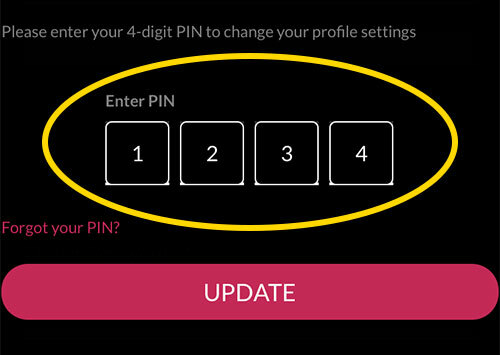 ENTER YOUR 4-digit PIN number when prompted and click update. You'll see a green confirmation banner indicating that your information was successfully updated. It takes approximately 24-48 hours from when your documentation is received for Slots.lv to verify your account. Have you checked that you don't have your caps lock on? Sometimes you may have difficulty signing in to your account due to old information that is stored on your web browser's cache. Try clearing your cache and reloading the page. If that doesn't work, click on contact us at the top of the FAQ page and we'll be happy to help you via email or over the phone. If you're having difficulty viewing Slots.lv or signing into your account, you may need to clear your browser's cache. Click the menu icon in the upper right corner of the browser (three horizontal lines or dots) then click "Settings" at the bottom of the menu. Click "Advanced" or "Show advanced settings" at the bottom of the initial settings. Scroll to the privacy section and click "Clear browsing data." Select "Empty the cache" Uncheck all other options if you would like to avoid deleting saved passwords, cookies and other things you may wish to retain. At the top of the selection, change "Clear the following items from" to "the beginning of time" using the drop-down menu. Click "Clear browsing data". It may take a few minutes for your computer to clear the cache. Click the "Firefox" menu in the top left corner, select the right arrow next to "History", then click "Clear Recent History". Expand "Details" and select "Cache" from the list. Uncheck everything else. In the "Time Range to Clear" drop down menu, select "Everything." Click "Clear Now." It may take a few minutes for your computer to clear the cache. To open the "Settings" menu, click the gearwheel icon located in the top right corner of your browser. Select "Safety", then click "Delete Browsing History" from the resulting menu. Check the "Temporary Internet Files" box and uncheck the "Preserve favorite website data" box. Click "Delete". It may take a few minutes for your computer to clear the cache. Low security settings can allow harmful content to access your computer, but having them too high will restrict you from the most basic sites. 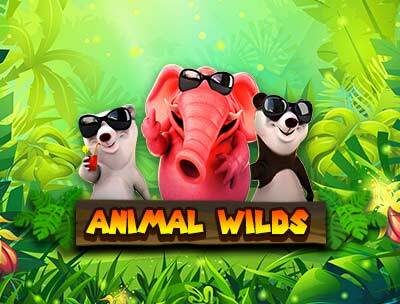 To access www.slots.lv we recommend setting your security level to medium. Click "Tools" from the main menu bar in Internet Explorer. With the browser open, click the "gear" icon at the top right to open the settings menu. Select "Internet Options." In the row of tabs, click the second tab marked "Security." Click on the image of a green circle with a check mark in the middle marked as "Trusted Sites." Click on the "Sites" button to add and view a list of trusted sites. To add Slots.lv to the list, simply type https://www.slots.lv into the "Add this website to the zone" field and then click "Add." Click "Close." Click the "OK" button on the "Trusted Sites" dialog box to save the changes. Auto Completion lets you save information entered into forms and text fields for future use. However, when Auto Completion is used to save a sign-in name and password for a site such as www.slots.lv, it can be a security risk. Click "Show advanced settings" and find the "Passwords and forms" section. Uncheck the "Enable Autofill to fill out web forms in a single click" and "offer to save passwords I enter on the web" boxes. At the top of the Firefox window, click on the Firefox button and then select "Options." Set "Firefox will" to "Use custom settings for history." Uncheck the box that says "Remember search and form history." With your browser open, click the "gear" icon at the top right. In the "Content" tab, select "Settings" under Auto Complete. In the "AutoComplete Settings," uncheck the box marked "User Names and Passwords on Forms." Click on the "Delete AutoComplete History" button. To remove any previously saved data, select "Form data" and "Passwords" and click "Delete." Click the "OK" button on the "AutoComplete Settings" dialog and then again on the main "Internet Options" dialog to save the changes. Slots.lv uses SSL encryption to ensure all information is secure. Please ensure you're using the latest version of your web browser because some older browser versions, although secure, may display a security alert. Click "Yes" to proceed. All sensitive areas of the site are protected by SSL (Secure Socket Layer), as evidenced by the padlock in your web browser's address bar. This ensures the utmost integrity of any personal data being passed to us through the website. Internally, all sensitive player information is encrypted and only accessible to the relevant staff on a need-to-know basis. 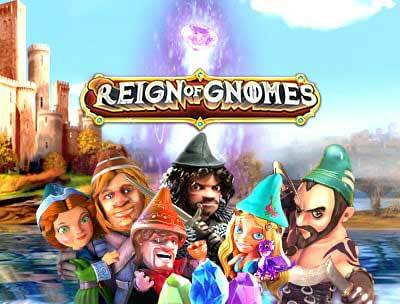 We have an exciting rewards program at Slots.lv to help you achieve bigger perks, bigger bonuses and more! By playing games and accumulating Reward Points, you can move up the ladder to achieve VIP status, unlocking juicy rewards along the way. 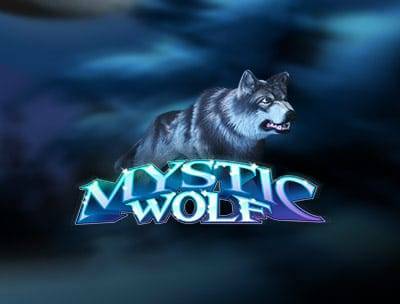 For more information on our MySlots Rewards Program and gaining VIP status, select "Promotions" from the menu in the top right corner of the screen, then click "MySlots Rewards". With our new search feature, finding the answer to your question has never been easier! Use general search terms, as only exact words in the title of the help topic can be found. Use correct spelling. Still having trouble? Click on Contact Us at the top of the FAQ page and we'll be happy to help you via email or over the phone. 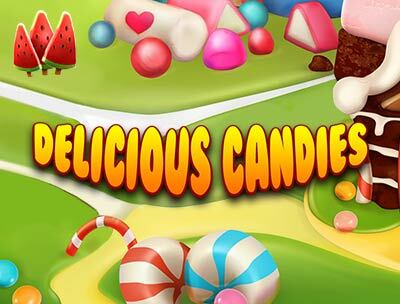 Currently, Slots.lv accepts players from both the United States and Canada, except those residing in New Jersey, Maryland, New York and the province of Quebec. We offer a wide array of bonuses. You can check menu of all Available Bonuses on your Dashboard. Just click the profile icon at the top of the website, then click My Rewards. All your eligible bonuses will be listed under the Bonuses Tab. Don't want your reward? Before proceeding be aware that forfeiting a bonus will also remove any winnings generated by the bonus from your account. 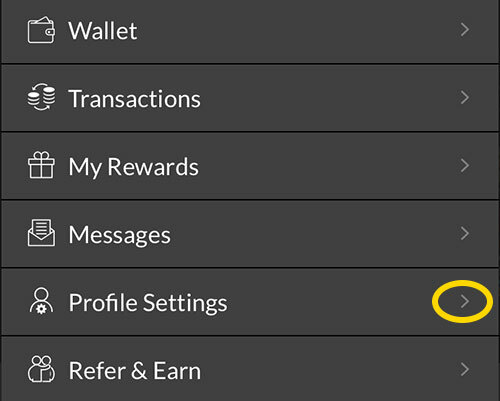 Open your Dashboard by clicking the profile icon at the top of the website, then click My Rewards. Under 'Active Bonuses', click the 'Bonus description' or drop down arrow next to the bonus that you wish to remove and click 'Forfeit'. Confirm the refusal of the bonus by clicking 'Forfeit' again and the bonus funds and associated winnings will be removed from your account. The bonus funds will be forfeited and any subsequent winnings associated with that bonus will be permanently removed from your account. 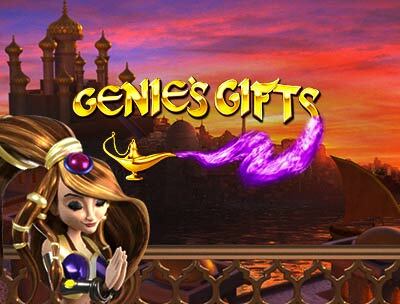 Although bonuses are meant to help you increase your riches, certain bonuses don't apply with certain games. Checking which games are applicable is easy as pie. Open your Dashboard by clicking the icon at the top of the website, then click 'My Rewards'. 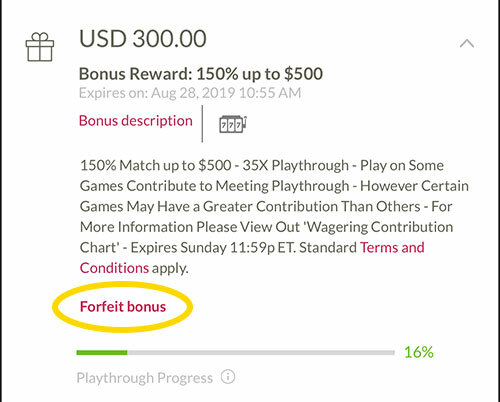 Click 'Bonus Description' or the the drop-down arrow under the bonus name to reveal the Terms & Conditions including any games which may not be eligible for play with bonus funds. When you choose a deposit bonus, your deposit and bonus funds are locked until you've met the playthrough requirements. The more you play, the more you progress, and you'll begin to see the funds slowly drip into your account. You can check your playthrough progress on a bonus at any time. Go to the profile icon at the top of the page, then click 'My Rewards' found under 'Active Bonuses'. 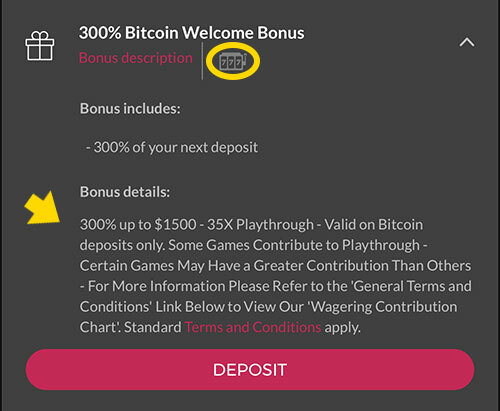 Click the drop-down arrow to reveal the details of your bonus in play. There’s plenty of bonuses to choose from under the Bonuses tab on your Dashboard. Click the profile icon at the top of the website to open your Dashboard, then click 'My Rewards'. Make your choice and click 'Claim Bonus'. You receive your bonus immediately after claiming it on the Bonus Page. When you pick a Match Bonus, you need to make a deposit to unlock it. 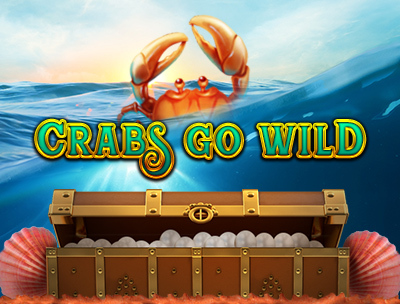 Once your deposit is successful, your bonus funds appear on your account and you can start playing! Just like an amazing dream, bonuses do not last forever. Unless otherwise specified, you have six months after activating a bonus to meet the playthrough requirements or any other criteria set in the Bonus Terms & Conditions. If you don't succeed, the bonus funds and associated winnings may vanish from your account forever! The expiry date for each active bonus is listed under the bonus name. Why hasn't my match bonus been issued yet? Where did your bonus go? 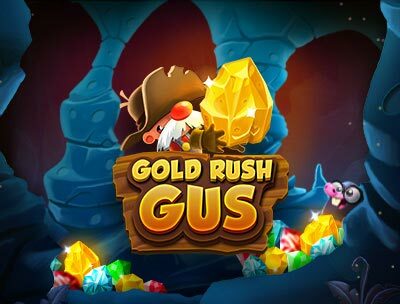 You may have forgotten to redeem the code required for the bonus, or perhaps you haven't deposited enough to activate the bonus. Make sure you've claimed your Match Bonus by checking your Active Bonuses. Click the profile icon, then 'My Rewards'. Be sure that your deposit is completed in a single transfer and includes the right amount for the bonus to unlock, or you could miss out! 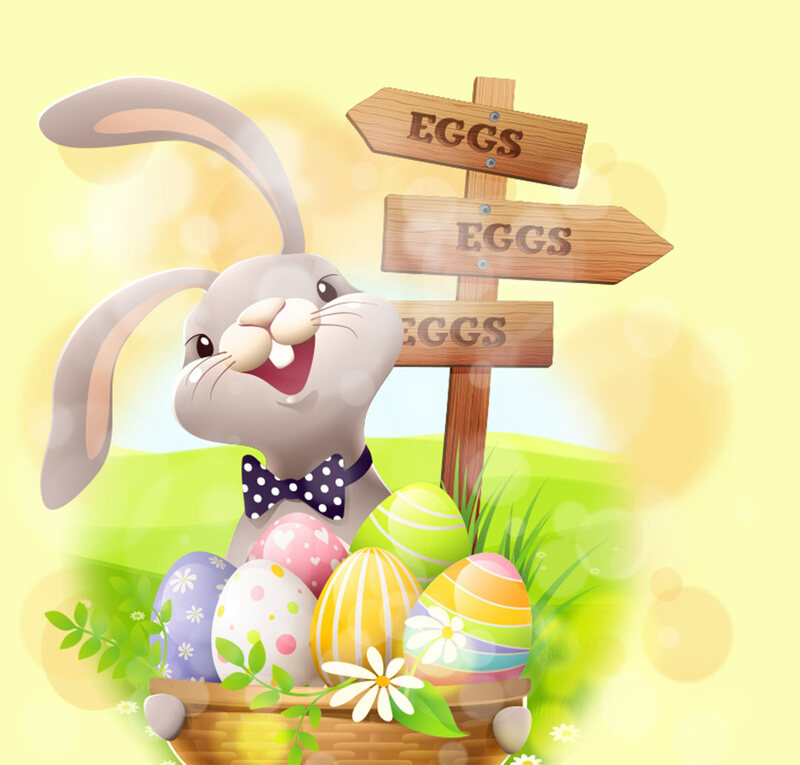 We have a boundless assortment of bonus options to choose from. Some bonuses will be featured onsite while others will only be available through email, so be sure to check your inbox for these special promotions. To claim a bonus, click the profile icon at the top of the page, then click "My Rewards"
Select the bonus you want from the Available Bonuses list, then click "Claim Now". The funds will be instantly available in your account. If it's a Match Bonus, you'll be asked to make a deposit so that we can match it and add the money directly to your account. If you received a coupon code via email, simply enter it in the field provided, then click "Claim Now". Unfortunately, even the most "free" rewards have some rules attached. 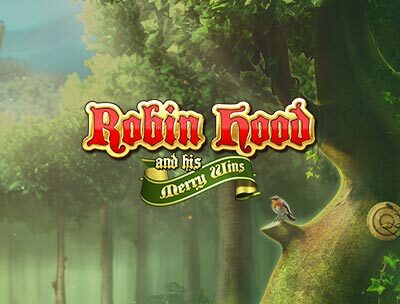 When it comes to bonuses, Playthrough refers to the amount of money that must be wagered in the casino after claiming a bonus before it can be withdrawn. For a match bonus, the playthrough requirement is the bonus plus the deposit that has to be played a certain amount of times. 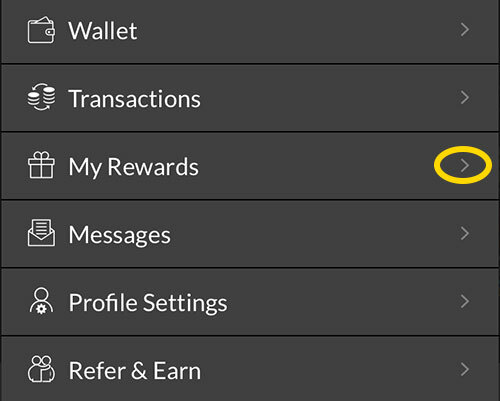 Check the requirements of any bonus by first clicking the profile icon at the top of the website, then click "My Rewards". 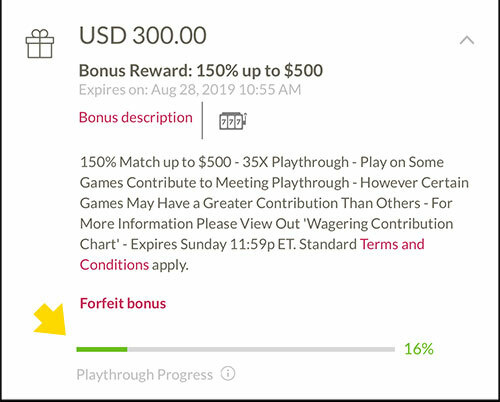 Click the drop-down arrow, or 'Bonus description' on any active or available bonus to view the playthrough requirement and other bonus details. How Do I Check My Playthrough Progress? Check the requirements of any bonus by first clicking the profile icon at the top of the website, then click 'My Rewards'. Under Active Bonuses, the remaining playthrough is indicated in the Playthrough Progress bar by a percentage. 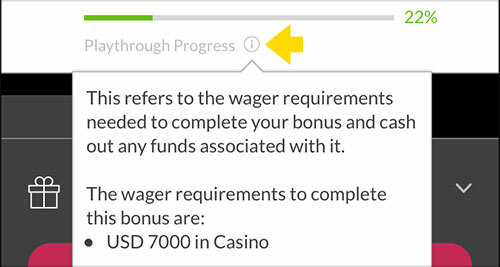 Hovering over the information bubble will indicate how much you still need to wager to fully meet the requirement. Fly to your Dashboard to find your Lock Amount. Click the profile icon at the top of the website. You can easily see your balance there. After signing in to your account, click the profile icon at the top of the website, then click "Deposit". 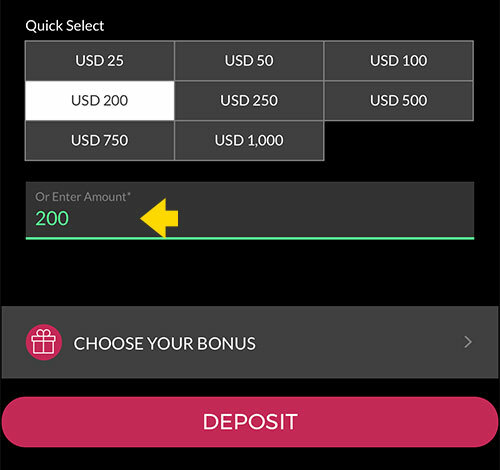 Choose the deposit method you want to use. 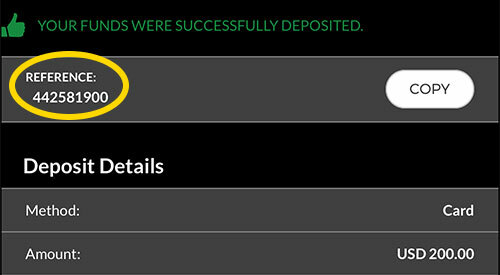 Enter the amount you want to deposit and any other required information, then click "Deposit". If you need further assistance making a deposit, click Contact Us at the top of this FAQ. Our dedicated Customer Service Team is available 24/7 to help. Bitcoin: min $10, max $5,000. Direct Bank Transfer (Canadian Players only): min $20, max $1,499. Interac Online (Canadian Players only): min $20, max $500. Visa/MasterCard/Amex: min $20, max $1,000 (New Players). Bank Wire: min $1,500, max $2,000 (New Players)/$9,000 (VIP Players). Bitcoin: min $10, max $2,500 (New Players)/$9,500 (VIP Players). 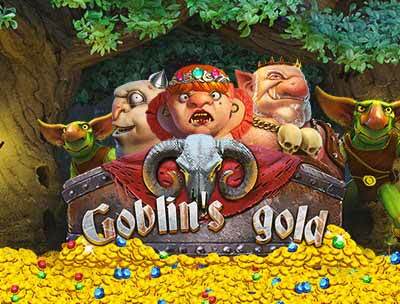 Check by Courier: min $50, max $2,000 (New Players)/$2,500 (VIP Players). 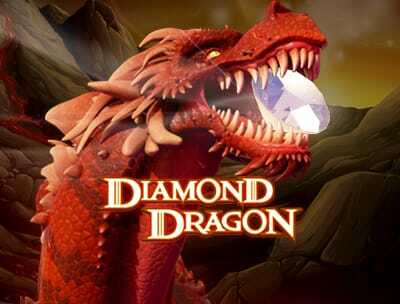 Direct Bank Transfer (Canadian Players only): min $20, max $2,000 (New Players)/$4,000 (VIP Players). The true owner of the credit card being used to deposit. The person to whom withdrawal payments will be sent. You can easily access all your pending withdrawals by opening your Dashboard and clicking on "Pending withdrawals". You can cancel any pending withdrawal in one click. Just press cancel and the request will be removed from your dashboard and the funds put back into your account. For more information, or if you encounter any problems, feel free to chat with us by clicking "Contact Us" at the top of this FAQ. Our dedicated Customer Service Team is available 24/7 to help. What withdrawal methods can I use? Withdrawals can be requested via Check by Courier, Bank Wire and Credit Card and Bitcoin in both the US and Canada. Direct Bank Transfer is available to Canadian players only. How can I make a withdrawal via Bank Wire? The bank wire option is a quick and easy way to receive your funds directly in your personal bank account. Bank wire payments must be sent to a personal bank account in your name. The account must be eligible to receive international bank wires. Company and/or business accounts are not permitted. A SWIFT code is required for all international wire transfers. If your bank doesn't have its own SWIFT code, you will need to provide intermediary bank details. Intermediary banks act on behalf of your bank to facilitate the transfer of funds into your account. Bank wire payments take approximately 5 to 10 business days to be credited to your bank account. Please note that bank wires are processed as foreign currency in increments not exceeding the equivalent of USD $2,000. Multiple pending bank wires are processed with one increment sent every month. There are no fees for the first bank wire withdrawal of each month, but subsequent withdrawals within that month incur a fee of $50. Once your bank wire is confirmed as processed, we'll send you the exchange rate, currency and amount to your email address on file. Despite our continued efforts to minimize losses due to exchange rate fluctuations, we can't guarantee what the final bank rate will be once your bank wire is credited to your bank account. Deposits can be made by Bitcoin and Credit Card in both the US and Canada. Direct Bank Transfer and Interac Online are available in Canada only. What is Direct Bank Transfer? 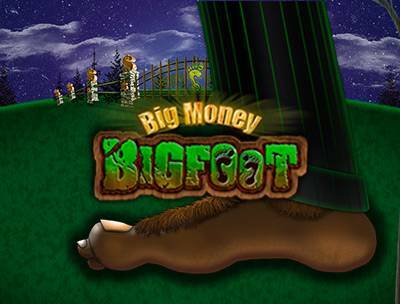 Deposit via Direct Bank Transfer (DBT) to post your funds safely, securely and instantly to your Slots.lv account! First, register your banking information with us by clicking 'Contact Us' at the top of this FAQ. 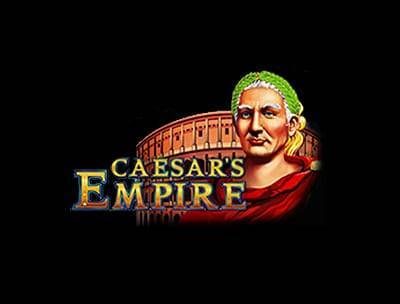 Once registered, the information will be saved on file for future DBT transactions to and from your Slots.lv account. Note: This method is available to Canadian players only. Deposit into your Slots.lv account directly from your personal checking or savings account using Interac Online. Once you've completed the transaction the funds are instantly added to your account balance. The minimum amount to deposit is $20 and the maximum is $500; however, some banks may have a lower maximum transfer amount. Deposited funds usually appear in your balance immediately after the deposit has been made. Occasionally, depending on the method used, a deposit can take over a day to clear, but these instances are rare. If you're having trouble depositing, please contact us directly by clicking "Contact Us" at the top of this FAQ. Slots.lv does not charge for depositing into your account. However, please note that as with any credit card purchase your card issuer may charge additional fees. Bitcoin withdrawals are always free. If using a Visa Debit Card that is eligible for withdrawals your first withdrawal every month is free; however, a fee of $50 is applicable to all subsequent withdrawals. A $75 fee is always applied to withdrawals by Check by Courier. After signing in to your account, click the profile icon at the top of the website, then click Withdraw. 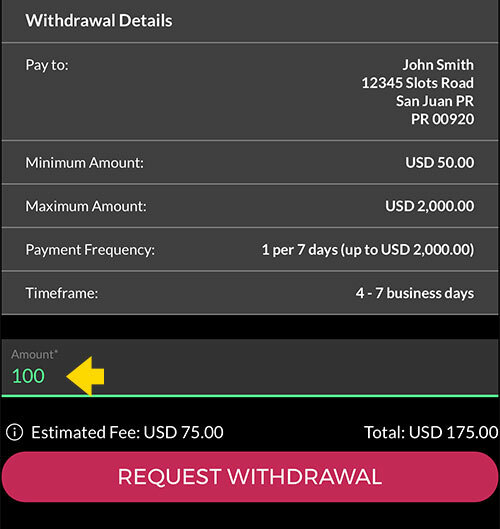 Select the withdrawal method you want to use, enter the amount you want to withdraw along with any other required information. Click "Request Withdrawal" and your pending withdrawal is marked "Requested". IMPORTANT: You must leave a sufficient balance in your account to cover your requested amount until the withdrawal is approved and the funds are deducted. Please note, withdrawals are processed each day on a first-come, first-served basis. 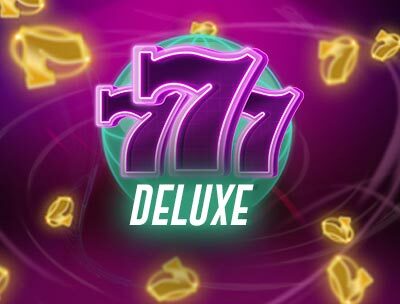 As long as all pre-authorized or pending deposits into your Slots.lv account have been settled, your request will take up to 72 hours to be approved. Double check your address on file to avoid any delivery delays. Only one withdrawal can be request at a time. There is a withdrawal fee of $75 for Check by Courier; however, when you reach a certain reward level the withdrawals are free. For verification purposes, per our Terms of Service, you may be required to submit documentation prior to a payment being processed. Click "Terms of Service" at the bottom of the website for full details. When are my withdrawal funds removed from my balance? The withdrawal amount requested and additional fees (if applicable) will be deducted from the playable balance at the moment of the request. 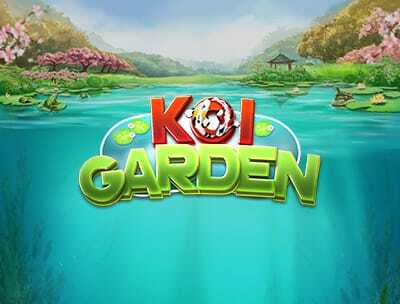 So you can play with the remaining funds without worrying. What are installments when I request a withdrawal? All our withdrawals methods have a Maximum Withdrawal Amount that can vary from one method to another. Your withdrawal request is also divided into installments that have a defined maximum. Installments are portions of your withdrawal and get processed within a specified duration. Requesting a withdrawal of $300 dollars will result in three installments and an estimated timeframe of nine days before you get the full amount. Do I need to enter my card details each time I make a deposit or withdrawal? Bitcoin is a peer-to-peer digital currency you can use to send money to friends or merchants worldwide. Created and held electronically, Bitcoin is entirely decentralized, which means it's not controlled by any singular institution, like a bank. It can be transferred securely, anonymously and very quickly by anyone in the world. The very purpose of Bitcoin is to provide a secure and private method of financial transaction. Using Bitcoin does not require you to enter any personal or private information. All Bitcoin transactions are done using two keys – a public key, visible to everyone, which is your Bitcoin address, and a private key that is only known to you. When sending Bitcoin, a combination of your public and private keys together is your transactional signature. As with any currency, the first thing you need is an account. In the Bitcoin world, it is referred to as a wallet. Visit Bitcoin.org for a list of wallet options. A software wallet stored on the hard drive of your computer. A vault service that stores your bitcoin offline to keep them protected. A multisig vault that uses a number of keys to keep the account protected. Bitcoin Exchanges – the most common way to buy Bitcoin. If you're new to Bitcoin, you'll find many exchanges and wallets competing for your business. Most of them will store amounts of currency for you like a traditional bank account. Face-to-face or over the counter trade – directly trading conventional currency for Bitcoin with another person. Payments for goods and services – many businesses will take Bitcoin as payment. Bitcoin ATMs – As with any traditional ATM, you simply go up to a machine and insert your cash. You then have the choice of scanning your mobile wallet QR code or receiving a paper receipt with the codes necessary to load Bitcoin into your wallet. Visit coinatmradar.com to find the Bitcoin ATM nearest you. The Bitcoin network is held together by the blockchain, which tracks every transaction ever made in the network. Transactions are timestamped and fully transparent on the blockchain log, where all completed transactions become available for verification and future reference. For a full list of wallet options, check out Bitcoin.org. Choose the wallet that meets your needs. For the Bitcoin ATM nearest you, visit : coinatmradar.com. Bitcoin can be exchanged online or in person. There are three ways to go about exchanging Bitcoin. Debit cards -multiple debit card programs exist. Check out cryptocurrencyhelp.com to see the ones we recommend. Trading with an online exchange. See our list of recommendations here. Directly trading with another person. To sell Bitcoin in person, all it takes is scanning a QR code on another person's phone in exchange for cash and the transaction is complete. Sign in to your account and click on the profile icon at the top of the page, then click "Deposit". Select Bitcoin as your method from the dropdown menu. 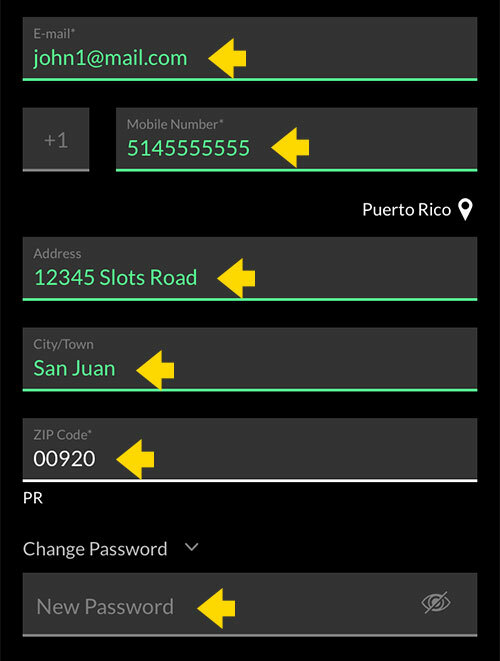 When provided with the Bitcoin address*, you must choose to either launch your Bitcoin wallet (if you are on a desktop computer) or scan the QR code with your smartphone and mobile wallet app (if you are on a smartphone or tablet). Click "I've Completed My Deposit". *Double-check your Bitcoin wallet address to ensure you have entered it correctly. An incorrect wallet address can result in lost funds. Bitcoin funds are usually available within a minute of making the transaction; however, in rare cases, it can take longer depending on network congestion. Deposits limits: Min $10, Max $5,000. Withdrawal limits: Min $10, Max $2,500. Are there deposit/withdrawal fees for using Bitcoin on Slots.lv? Slots.lv does not charge any fees for Bitcoin withdrawals or deposits. What are the advantages of using Bitcoin on Slots.lv? When you use Bitcoin on Slots.lv, deposits and withdrawals are quicker, cheaper, more frequent and, most importantly guaranteed. Sign in to your account and click on the profile icon at the top of the page, then click "Withdraw". Select Bitcoin from the dropdown menu. Should you deposit money into your Slots.lv account and then withdraw before using the funds, there may be a fee charged to cover the actual costs of processing the transactions. A withdrawal can be cancelled as long as the payment (actually sending the Bitcoins) hasn't gone through yet. This can be done from the withdrawal page, which is accessible through your Dashboard (click the profile icon at the top of the page). Click ‘Withdraw". If the payment has already gone through, it is impossible to cancel. When you make a deposit, the billing descriptor will appear on the deposit confirmation page so you know what to look for on your statement. You can review previous descriptors by visiting the "Transactions" page on your Dashboard; just click the profile icon at the top of the page. Verified by Visa is a program run by Visa that adds an extra layer of security to online credit card transactions. 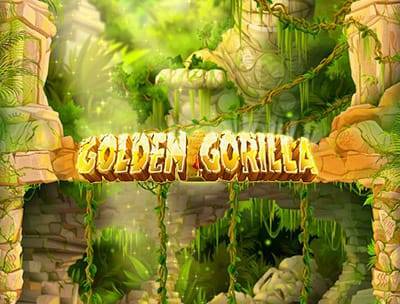 It requires an additional password associated with the player's Visa in order to complete online purchases. This program is free of cost. After entering your card details, deposit amount and clicking the Deposit button, you'll be presented with a framed section that will direct you to your bank's website and prompt you to enter the Verified by Visa password associated with your card. If you're not yet enrolled in the program, you may be prompted to enroll. Yes, you can. However, during the deposit process, a prompt may appear from your bank asking you to register. If you're asked to enroll, we recommend you do so. We support both American and Canadian currencies. How do I verify my Credit Card information? As outlined in the Credit Card Transaction Processing Agreement, before requesting a withdrawal you may be required to complete the Credit Card Verification Form located under ‘Forms & Agreements' and the bottom of the page. Please email the completed form to verification@slots.lv. Fill out a separate form for each credit card or bank account. Set your scanner and/or photocopier on the lightest possible setting. Make sure you save and send the scanned documents in either JPG or PDF format. Make sure all your supporting documentation is included, as outlined at the top of each verification form. Complete the entire form and be sure to sign and date the form where indicated. How do I verify my Bank Account information? As outlined in the Bank Account Transaction Processing Agreement, you may be required to complete the Bank Account Verification Form located under ‘Forms & Agreements' at the bottom of the page. Please email the completed form to verification@slots.lv. Why can't I see the Live Dealer? 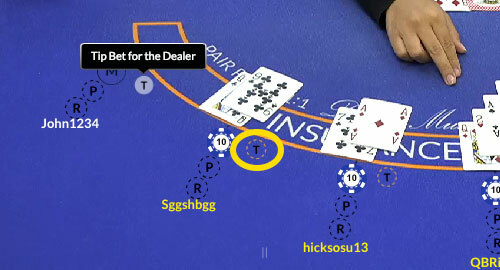 Once you're at the Live Dealer table, click 'Secure' in the upper left corner, next to the URL. In the drop down menu, click 'Site Settings'. Return to the Live Dealer table and click 'Reload' at the top to apply the updated settings. After a few seconds, the video feed should appear. No. 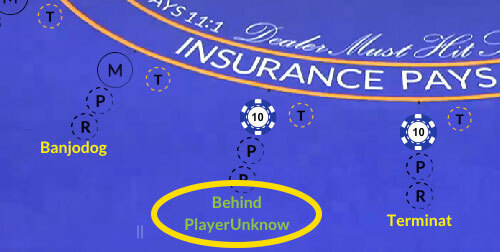 You can see the Live Dealer and the game via live streaming video, but the dealer cannot see you. 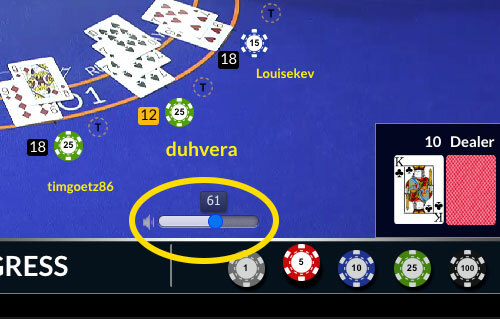 The Live Dealers have a 'dealer monitor' in front of them with information about the game, who is playing, and a chat box so that they can read reply orally to your messages. When you join a table, the Live Dealer will greet you and welcome you by your screen name! You can then chat back to the Live Dealer by using the chat box. The live chat box also supports the use of emojis, enabling you to express yourself in many ways! Are Live Dealers available in all languages? Although our Live Dealers speak other languages, we're only offering services in English. However, we're looking at the possibility of adding other languages in the future. Yes! You can tip the Live Dealers and they will appreciate this gesture. In fact, the Live Dealers will acknowledge every tip, they will thank the tipper by name, and they will perform a small celebration ritual. You should try it and tip to see what will happen! While playing any game, click on the chip denomination you wish to use as a tip, and then click the tip box on the table. When the game finishes, the Live Dealer will thank you for the tip! 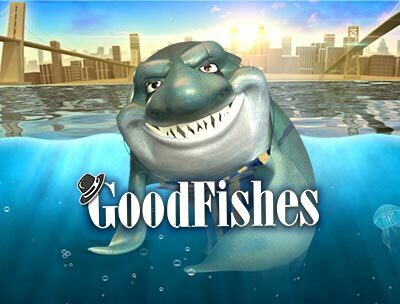 Your Live Dealer or the Pitboss will gladly answer questions related to the game and your experience. Just use the in-game chat feature. If you have a question about your account, you'll need to speak to us. Just scroll to the bottom of this page. You can reach out by email or chat with one of our dedicated agents live 24/7. What if there's a human misdeal or technical issue during the game? In the event that you lose connectivity or time-out during the live game, any bets you have made will remain in play and the game will be completed. 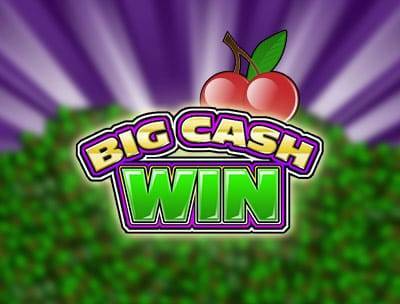 If you win, the winnings will be added to your account automatically. 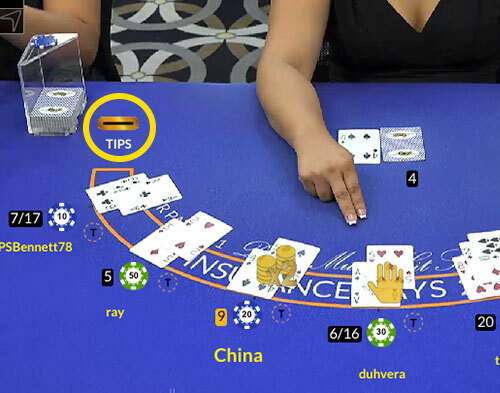 If you are playing Blackjack and lose connectivity or if you time-out before making a decision, the hand will be completed according to Basic Strategy. 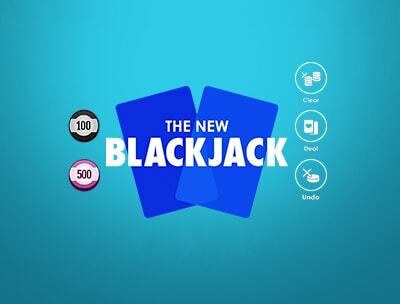 It's the optimal way of playing Blackjack, based on your hand score and the dealer's up-card. 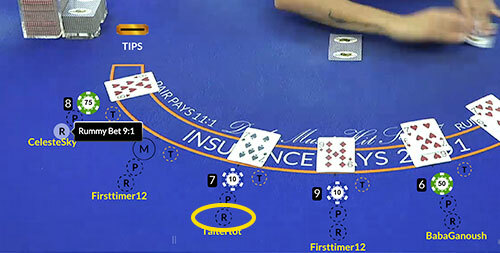 Completing a hand which has lost connectivity or timed out is done in the player's best interest and to serve those back betting on the hand. What if there is a human misdeal or technical issue during the game? In the event of human misdeals or a technical problem of any kind, a Pitboss is immediately called to the table to address the players. 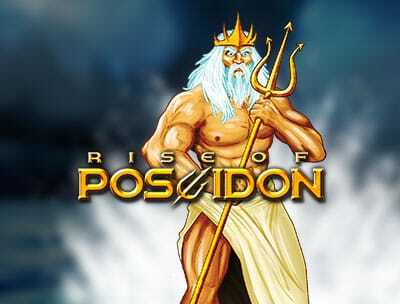 After the problem is explained and resolved, the game will continue. If the problem still cannot be fixed, all hands will be voided and the original bets will be returned to players. How do I turn the sound ON/OFF on the live game? You can mute the volume, or turn it up or down with the settings at the bottom right corner of the video. All of the major table games you find on the floor of a land-based casino can be found in the Live Casino. 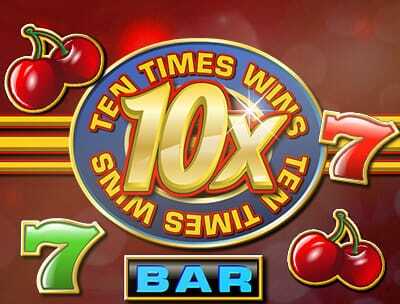 This includes Live Blackjack, Live American Roulette, Live European Roulette, Live Baccarat, and Live Super 6. What do I do if the Blackjack table is full? When there are no seats available at a table or if you just want to have more possibilities, you can make bets on other player's hands by using a feature called back betting. Back betting enables you to wager behind another player allowing you to bet and experience the same result as they do, win, lose or push. The person you are betting behind (the person in the seat) will make all of the player decisions. Please take note that if the seated player chooses to Split or Double, you must follow. How do I back bet? The seats available for back betting are shown with yellow outlines. If you also have the auto rebet feature enabled, your back bets will also auto rebet as long as there is a player in the main seat. The player sitting in the main seat will make all of the decisions. You are backing their hand and their decisions. We suggest you watch a player's decisions before backing them. If you like their style of play, then you may wish to back bet behind them. What is a tip bet? When playing Blackjack there is a 'T' icon to the right of the Main Bet. Clicking this 'T' will place a tip bet for the Dealer. If your hand wins, the casino will DOUBLE the tip for the dealer. If your hand loses, the tip loses too but your dealer will know you tried. What is the 'Pairs' side bet? It is a side bet that pays if your initial two cards are a Pair – 2 cards of the same rank such as 3C, 3H or 7S, 7H or KD, KC you win 11:1. If your initial two cards are not a Pair, you lose your Pair wager. 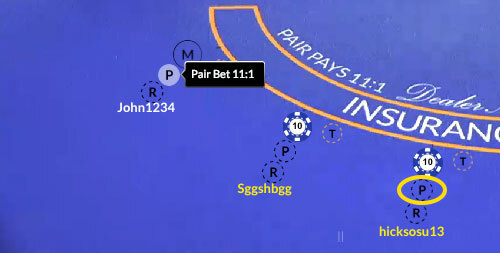 In order to participate in the Pairs bet, you must click on the 'P' in the middle of the bet area. What is the Insurance bet? Insurance is a side bet that the dealer has Blackjack and is treated independently of the main wager. 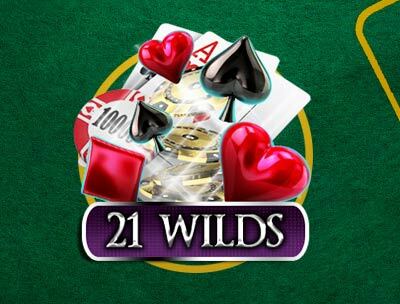 It pays 2:1 (meaning that the player receives two dollars for every dollar bet) and is available when the Dealer's exposed card is an ace. By accepting Insurance, half the size of your bet will be placed in the Insurance spot on the table. What is the 'Rummy' side bet? It is a side bet that pays if your initial two cards + the Dealer's up card are a Rummy. A winning Rummy hand pays 9:1 and can consist of 3 cards of the same rank (eg. 4H, 4S, 4D), or 3 cards of the same suit (eg. AH, 4H, 10H), or a 3 card straight (eg. 3H, 4D, 5S). If your initial two cards + the Dealer's Up Card are not a Rummy, you lose your Rummy wager. In order to participate in the Rummy bet, you must click on the 'R' at the bottom of bet area. Yes, the chat is community-based and everyone at the table can see what you write, including other players and the Live Dealers. Can I share personal contact information on live chat? You cannot share personal contact information within live chat. The Live Dealer will not share their personal contact information either. If you attempt to exchange personal information on live chat, it will be blocked, and you may have your chat privileges revoked. What if other players are using inappropriate chat? layer uses inappropriate chat, the player will be warned, and if the behavior does not stop the player will have their chat privileges revoked. Should you be disconnected while playing a particular game, the outcome stays the same, irrespective of your internet connection. 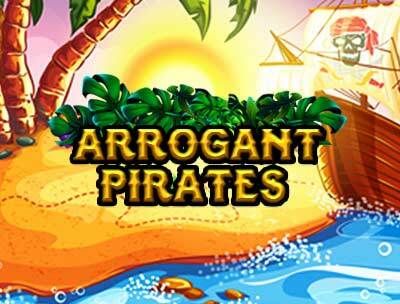 Any wins from your play will have been credited to your account balance regardless. How are Game Odds determined at Slots.lv? We value fairness at Slots.lv, which is why our website is certified by an impartial third party who maintain the reliability and integrity of our games. 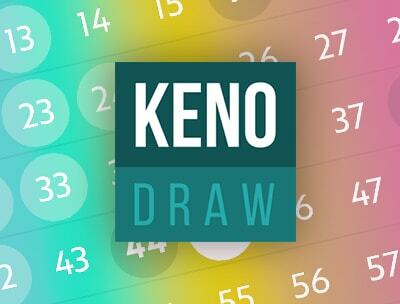 We also use a pseudo Random Number Generator (pRNG) which selects the winners of our games at random. Why can't I view Slots.lv properly? It's possible that your cache is full, as it stores information while you browse. We'd recommend clearing your cache and cookies and then refreshing the page. To clear your cache, scroll up to ‘How do I Clear My Cache?' in this help section. 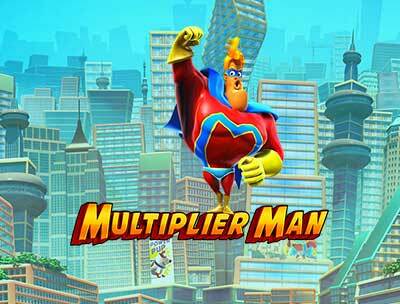 Games with progressive jackpots are connected through a specific network. 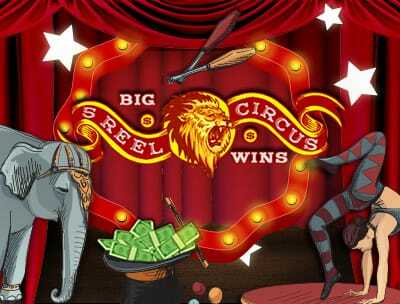 The shared jackpot accrues a tiny percentage of every bet placed. The jackpot grows until one fortunate player takes the pot. 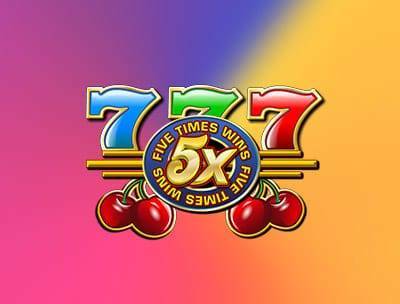 We'll then add a "seed" jackpot amount and the progressive jackpot will start growing again. 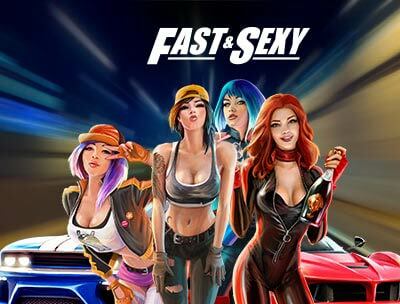 Which games are available on mobile? 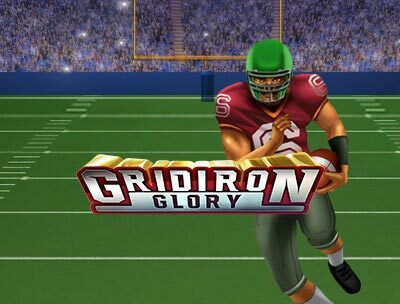 Many of our most popular games are now available on the go! To view an up-to-date list of the games available on mobile simply access the site via a mobile device.